As you lie on an exam table, a sonographer coats your belly with a slick -- and possibly cold -- gel. 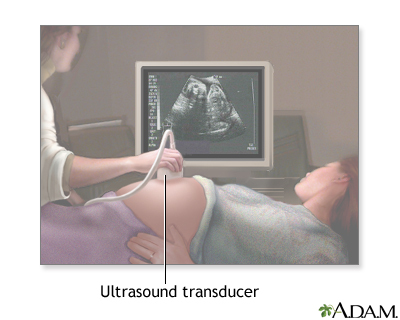 Next, he moves a transducer, a hand-held device shaped like a microphone, over your belly. You can see the resulting images on a nearby computer screen.